Décontractez vous. Vous avez de l'espace. Sit back & relax. With plenty of breathing room. You’re not a sardine, so why live like one? Get comfortable in your spacious new condo. 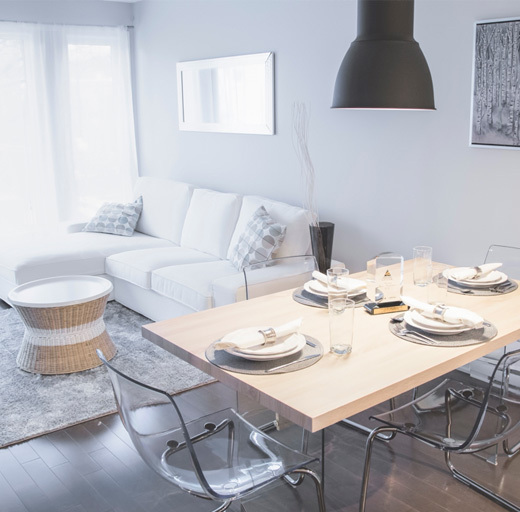 Boasting the most square footage per unit with generous living spaces, practical layout and ample storage, our condos are in fact the largest available in the entire district—starting at only CA$199,500. View the video of the model condo. Hochelaga-Maisonneuve is alive and thriving! Rich culture, trendy gastronomy, abundant green spaces, lively attractions—all the dynamics of an enriching community, close to downtown. Hurry! Purchase a new condo now and celebrate—outstanding prices that you couldn’t get anywhere else! To welcome you home to HoMa! When it comes to condos, Axe du Marché truly has all you need—guaranteed. Designed with the active homebuyer in mind, every detail is carefully crafted for you to enjoy the very best quality of living. Above all, we want you ensure your new condo feels like home, inside and out. That’s exactly why Axe du Marché offers comfortable, spacious units in the heart of Montréal’s trendiest district. Nothing less than the best. Life is good in HoMa. Making its mark as Montréal’s trendiest district, HoMa is THE place to be. And with good reason. 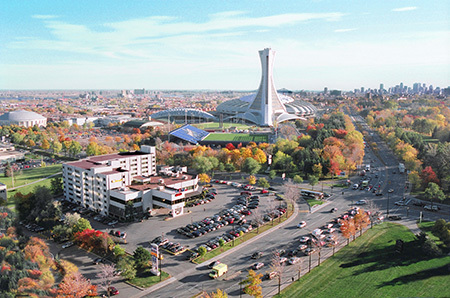 Brimming with creative energy and rich culture, its eclectic community is at the heart of its revitalization. Everyone’s talking about HoMa. Find out what all the buzz is about! We offer space. Lots of space. The largest condos available in the district with the most square footage per unit. Generous living spaces, ample storage and practical layout designed to optimize your comfort and peace of mind. Every carefully crafted detail is designed with you in mind. Brick facade, spacious private rear terrace, plus lush landscaping. Engineered maple wood flooring throughout, plus premium ceramic tile in the bathroom, kitchen and storage areas. Zen wood finishes, melamine cabinets and laminate countertop, with choice of colors. Superior quality soundproofing underlay flooring, and common wall insulation. Central air conditioning, and electric heating system with programmable independent room thermostats. Glass doors with high-quality hardware, and energy efficient Low-E argon windows. Platform bathtub and separate ceramic tile shower, plus Zen-style sink and faucets. Over 30 years experience. Always giving you our best. At Vistacorp, we know the secret to success starts with you. Carefully crafted design, superior quality construction and total customer satisfaction—guaranteed. Every time. It’s that simple. Purchase your dream condo in Phase 1 and move in right now! Choose a condo in Phase 2 and benefit from being able to choose your colors and finishes! The Axe du Marché condo development is well underway and we want to share all the latest updates with you, including up-to-the-minute photos of the construction site as the work unfolds. Be sure to check back often to see what’s new. Weekend: open from 1pm to 5pm. © 2016 groupe vistacorp, ALL RIGHTS RESERVED.